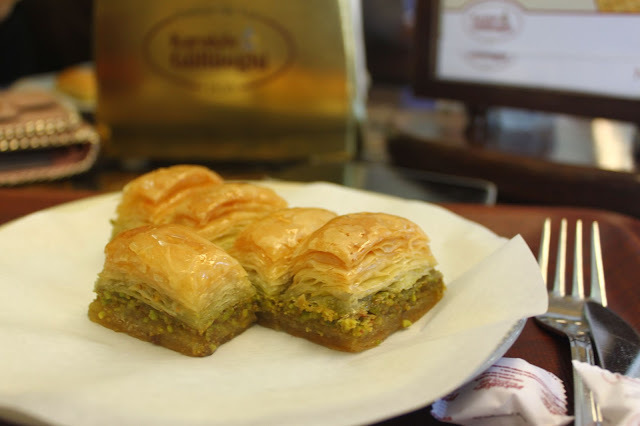 Ask anyone on the street where the best baklava is in Istanbul, and they will probably will give you the same answer: Karaköy Güllüoğlu. This place, the first baklava shop in Istanbul, was founded in 1949 by the Güllü family, which has been in baklava business since 1820. After 64 years, its elegant atmosphere still feels welcoming, if a bit more nostalgic. For website click here. 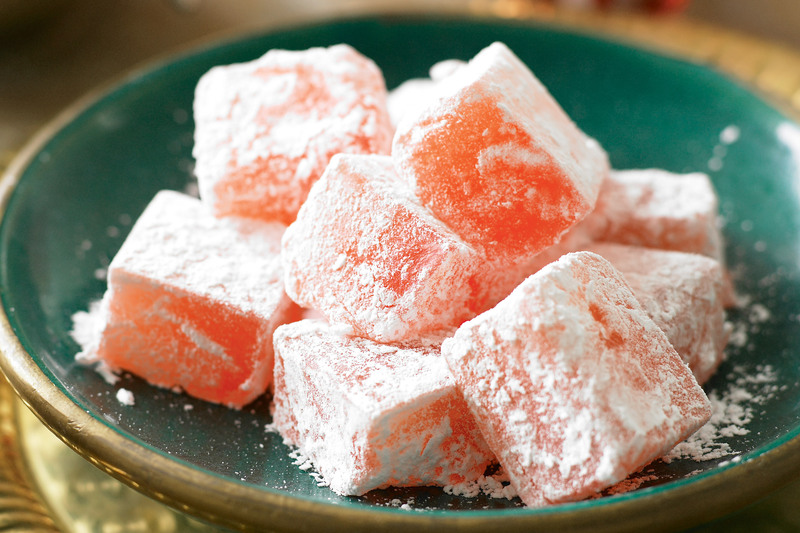 If “lokum”, Turkish delight, is the Sultan of all Turkish sweets, then you should not miss a visit to its palace when you are in town. This sophisticated patisserie inside the famous Divan hotel in Taksim offers you the finest quality of lokum and full-flavored Turkish coffee beside. It is open between 8 a.m. – 9 p.m. For website click here. This small restaurant in Cihangir may not impress you at first sight. However, it is one of those traditional restaurants founded to serve local shopkeepers – a very demanding clientele. Özkonak became famous beyond the neighborhood for its puddings. You should definitiely try its “muhallebi”, a milk pudding thickened with rice flour, or “kazandibi”, milky pudding that contains shredded chicken breast. The original Turkish ice-cream shop was founded in Kahramanmaraş in southern central Turkey. It has tighter structure and denser flavor than other ice-cream. Mado spread this 150-year-old taste all over Istanbul and today has become an indispensable part of the Istanbul food scene with its great variety of desserts. For website click here. Künefe, the very famous dessert of Hatay region, is one of the flavor that you should not miss. Made by infusing cheese with an intense syrup, it is totally worth the extra calories. Akdeniz Hatay Sofrası is a very nice restaurant in Fatih where you can find Hatay dishes, finished off with künefe, of course. For a recipe for künefe, click here: For website click here. Waffles are a very popular dessert for Istanbul’s hot summer days, made to order with different sauces and toppings, then folded to take on a stroll. This small waffle shop may surprise you with its long lines, but all those people cannot be mistaken! If you are walking through Bebek, be sure to grab a waffle from Ab’bas. This pretty cafe in pink and blue sits on a corner in Moda. If you prefer lighter desserts to traditional cream- and syrup-filled Turkish ones, Tatlıköşem will transport you to your childhood with its delicious, European-style cakes (including cheesecake) and cookies with ingredients like apple, blueberry, almond and gum mastic. Ciao Gelato is an Italian ice-cream shop in Ortaköy where you can find large variety of gelato flavors, including lavendar, ginger, lemon with basil and gum mastic. More Turkish flavors are available during Ramadan. All ingredients are chosen to be organic and fresh. If you’re craving decadent, American-style desserts, look no further than Delicatessen. Their dense brownie and bubbling fruit crisps leave expats’ mouths watering. 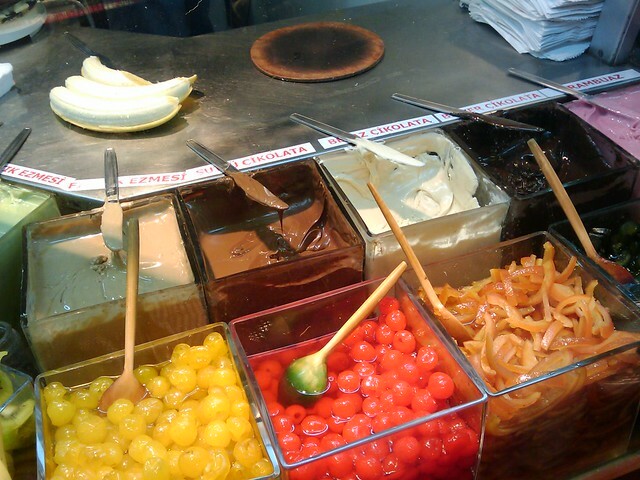 If you’re further north, similar sweets are available at its related cafe, Mangerie, in Bebek. For website click here.